We are engaged in offering Kindergarten Educational Software(Raptor) to our esteemed client. Other information: It is a comprehensive and age specific learning methodology for kindergarten. 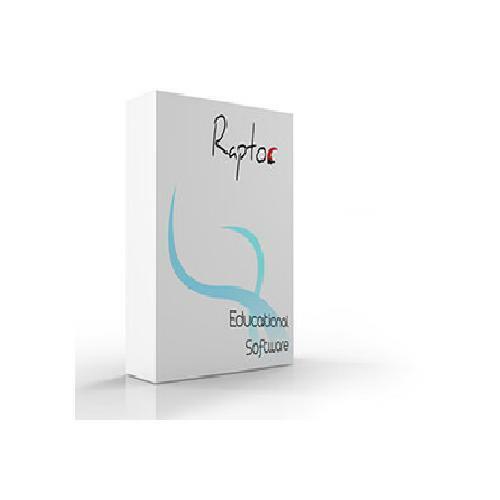 We are engaged in offering Kindergarten Educational Software(Raptor) to our esteemed client. It is a comprehensive and age specific learning methodology for kindergarten. brain storming activities and games. Let your KID start being unique with our product “RAPTOR KIDS”. Raptor “ YEAH ” - Your Education At Home is an exclusively designed software for 12th standard students of Samacheer Syllabus. Interactive and innovative solutions to meet the learning and teaching needs. It is developed in a way that, it meets the requirement of individuals with different learning styles end preferences. The product focuses on the cream importance of a 12th Student. With enriched content supported by animation, images, link method, relationship diagrams, imaginary techniques and more a student will be able to form a logical pattern with the information gathered that becomes easier to remember and you learn it once thoroughly rather than delegating your portions to your future study sessions. With all the complete revision concepts for every subject, It becomes easier for a student to recall a chapter and all your struggled concepts turn out to be the topics you are most familiar with. To stay sharper mentally with all the learning that has happened it is essential to be prepared with all the possible questions. Scoring is attained only when an individual knows what he is doing. Here, through “YEAH” a student can test himself, identify his mistakes instantly and know the right option that helps him perform well in his/her examinations. With “ RAPTOR YEAH ” you will be able to identify how studying works for you, so that you can Learn easily, Explore wisely and Score effectively. Viksha Edu Serve Pvt Ltd. is a company known in the market as a leading supplier and trader. Our company incorporated in the year 2010 as a Private Limited Company. We manufactured a wide range of products for our customers. The range of our products is Interactive Whiteboard, Digital Projector, Podium and many more. These products are available in the market in huge range.